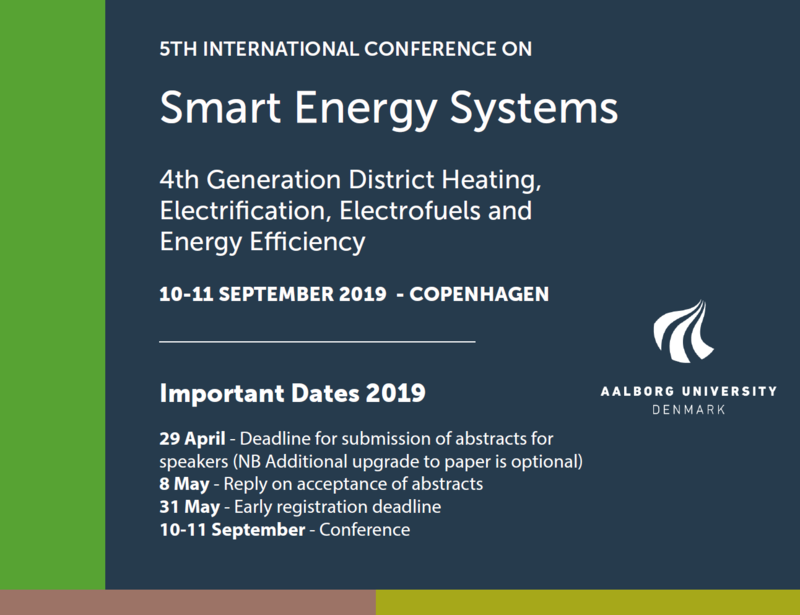 The International Conference on Smart Energy Systems and 4th Generation District Heating has been expanded to include the research topics of electrification, electrofuels and energy efficiency. The conference will take place on 10-11 September 2019 at Langelinie Pavillonen in Copenhagen. The venue is right next to the iconic Little Mermaid at the historical centre of Copenhagen, while the conference dinner will take place at the famous Tivoli Gardens.